Yesterday I shared the first part of my blusher collection with you as part of my Makeup Collection Series! I showed you most of my powder blushes so today I'm sharing my other powder blushes, cream blushes and highlighters! And I did warn you, I have way too many blushes, you'll be happy to hear I've had a bit of a blush clearout now! You can read part 1 here. I love my mini Benefit Tints! I've had posie tint for a while now and it is great for a quick, simple and long lasting lip colour but it also gives your cheeks a nice flush of colour! High Beam is a gorgeous highlighter, nothing too fancy but really lovely. I didn't expect to love Cha Cha Tint but I do! I wear it mainly as a blush but sometimes on my lips. It looks scary and really orange swatched but on your cheeks in summer it looks gorgeous! You get a whopping 15g of product with the ELF Cream Blush! I had to start of with that because you do get a lot of product! It is also really really pigmented so you don't need much at all, it blends out beautiful as well. I think these are fab for £6.50! The packaging is a bit bulky but I can look past that. This is a very cream to powder style blush which you do have to blend quickly but the product is quite sheer so that isn't a major problem. 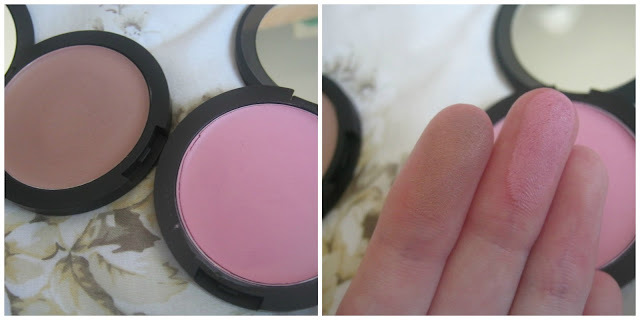 Despite this cream blush being sheer and not that pigmented I love it! It's a lovely peachy orange/coral shade, it is perfect for summer! Despite the massive hype around these in America I don't think they are all that great! Firstly my shade isn't that pigmented, it is quite a light shade but I'd expect more pigmentation, maybe a darker shade would be better. Yes it is bouncy but it is a gimmick, the boucy-ness doesn't make the product any better! I personally don't think they are all that great! 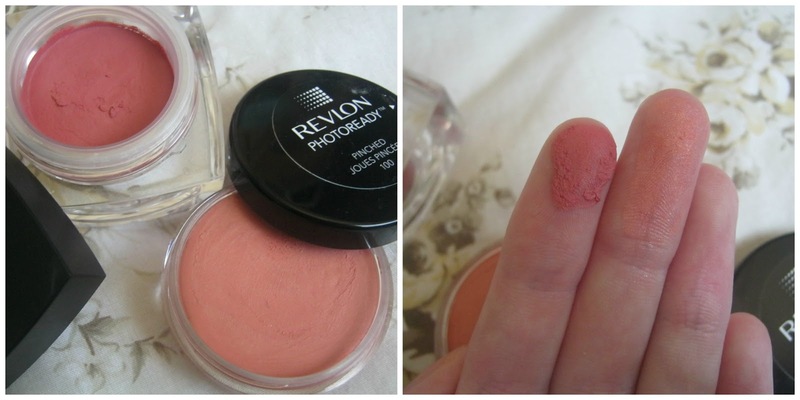 I really like this cream blusher, for only £2 it is fab! The shade Yummy is quite dark, I would prefer a lighter shade but I'm pretty sure I won this in a giveaway! It is really creamy and blends really nicely. It isn't sheer but it isn't overly pigmented which would make it difficult to use. You can buy these little bargains on Fragrance Direct for only £1.99 but they are sold out at the moment! These are just as good as the powder blushes. They are creamy, easy to work with and well pigmented. I do find it is best to use them with your fingers rather than a brush. This isn't a favourite product of mine unfortunately. I do use it from time to time but I wouldn't recommend it, it isn't very strongly pigmented and I find it difficult sometimes to pick up enough colour on my brush. 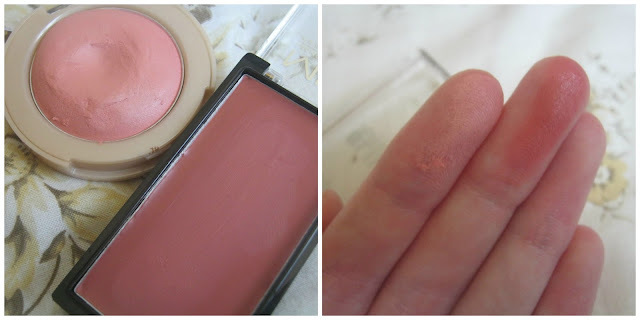 Save yourself a pound and buy a cream blusher from MUA instead! 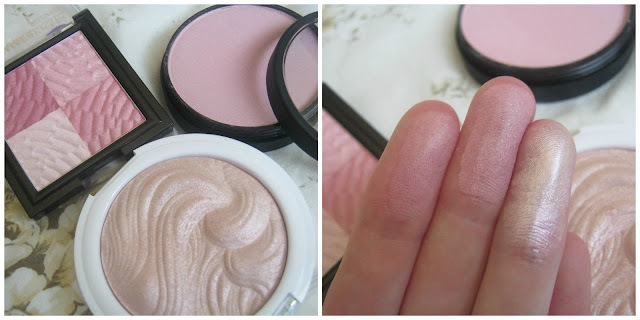 This is a stunning highlighter from Smashbox that is a light pink shade meaning that if you are rather fair it will give your cheeks a light flush of pink. It has the most gorgeous shimmer running through it that looks lovely in sunlight! This is my favourite highlighter, it is stunning! It is just so pigmented as well, you don't need much at all! There isn't anything majorly special about it, it does the job it needs to but it is cheap as chips! So, that is my blusher/highligher collection! What type of makeup do you think I'll be talking about next time? I have way too many blushers as well. I also have the Dainty Doll blush in Money Talks and I loooove it! I can feel myself going on a blusher shopping spree, love the benefit ones. 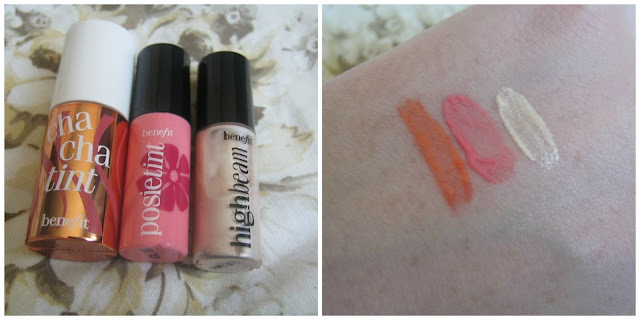 Been absolutely dying to test high beam, ah! Lovely post! I found your link through bbloggers and I am now going to follow, lovely blog! I have both the revlon and the mua and in the same shades as well. I prefer cream or tints instead of powder.